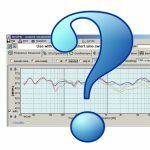 You are here: Home / Info / Explained: What are the Different Types of Speakers? There are many types of speakers in the market today, and this is always a plus for anyone who is looking for an audio solution that will pertain to their every need, including power, sound quality, shape, size, personality, and certain personality specialties each type comes with. However, it is highly recommended to do a little bit of research on specifics in order to enjoy high utility value and find which speaker is best for you depending on your own individual needs. Not only which “type” of speaker is important to understand, but you should also make it a point to overview some of the popular speaker specifications, such as determining frequency response, impedance, sensitivity, and of course the speakers’ power handling capabilities. These are essentials that determine the overall quality and also help you create a customized soundscape wherever you may need it. But first, let’s learn about some technical terms you may come across. In most cases, speakers are categorized based on the drives that they have and other variables that define their uniqueness. This is pretty technical, so we have a brief overview below before we get into the actual types of speakers. Here is a list of the types of speakers in more technical terms you can get in the market today. Dynamic: this one is the most common types, and they are typically passive speakers. They can have one or more woofer drivers. They are also known to produce low-frequency sound and have one or more tweeter drivers. In some cases, the professional speakers might have rear drivers to amplify produced sound. Subwoofer: this type has a large woofer driver, and often the enclosure includes a bass port to produce low-frequency sound. 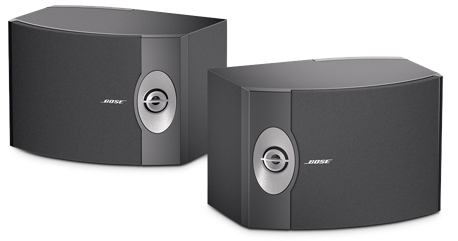 They can also be used to enhance base from other accompanying speakers without necessarily compromising quality of sound. Horn: these have a number of similarities with dynamic speakers, including how the drivers are arranged in a wave guide structure. It is with horn speakers that users are able to enjoy benefits that come with a relatively high degree of sensitivity and transmission of sound in large areas. Electrostatic: Electrostatic speakers can be a great choice for anyone looking for crisp and detailed sound. These diaphragm speakers feature one drive and a fine membrane which is placed over two conductive panels. They do come with an outside power source and are always plugged in an outside power outlet. In most cases, electrostatic speakers are used for high frequencies and are not ideal when you are looking for low-frequency speaker types. Planar-magnetic: Instead of the diaphragms, planar-magnetic speakers feature a thin metal ribbon, and unlike electrostatic you do not need an outside power source to operate. These are the kind of speakers that can also offer high utility value and last for a long time if they are taken good care of. When we talk about types of speakers, by this point in the history of mankind, everyone has a pretty good idea of what we are talking about. The question is what do we want? In order to answer that question, we also have to know what we want to use them for. Are we setting it up in a bedroom or a living room? Are we going to use them in a den or outdoors? Do we want to set the speakers up for music or movies? As you can see, the many uses for speakers are as varied as the types of speakers themselves. So where to begin? First, you should determine exactly how you are going to use them. 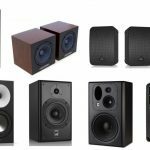 Once that question is answered, then you can determine which speaker types will suit your needs best. 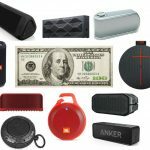 In that endeavor, let’s go over the different types of speakers and give you the information that will help alleviate the stress of which types to shop for. A subwoofer is a speaker type with only one job, to create very low-frequency sound. Booming bass is the subwoofers forte. With a range from 20 to about 200Hz, the subwoofer is an omnidirectional speaker. What this means is that it really doesn’t matter where you place it. This is because at 20 to 200Hz, the human ear doesn’t really hear soundwaves, it feels them. Nowadays, even desktop speaker systems come with some sort of subwoofer. Typically, you will find these in some car audio systems, but they really excel in the home theater arena. When combined with a quality full surround system, the experience can change the way you watch movies forever. As with studio monitors, subwoofers also come in powered and unpowered variants. Known as passive subwoofers, unpowered subwoofers need an amplifier or receiver to output enough power to push these speakers to their optimal level. Studio monitors are the speaker of choice for the professional audiophile. Known for their ability to clearly reproduce both vocals and music, studio monitors are really well optimized for casual listening or playing instruments. There are two types of monitors, powered and unpowered. The powered monitors are just plug-in the wall and play. Because they are internally powered, they do have a tendency to add buzz to the speakers. 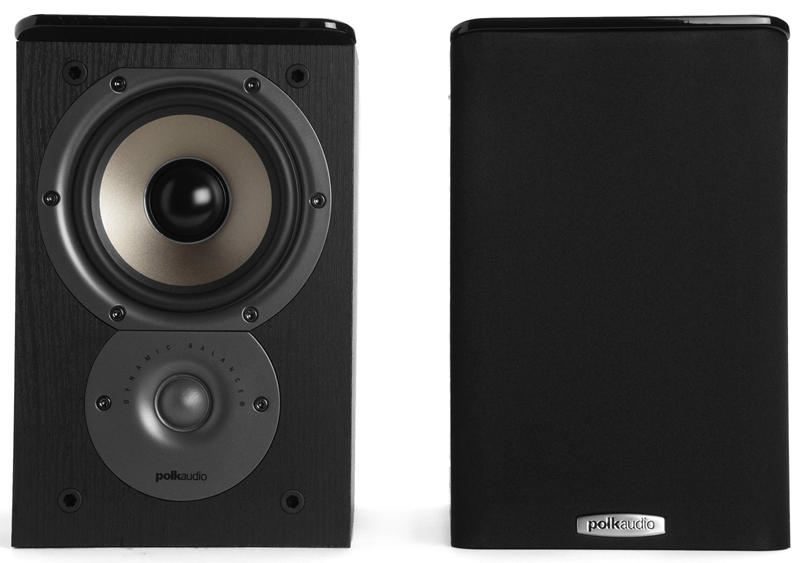 Unpowered monitors (also known as passive studio monitors) need some sort of external source to power them up. These are the speakers you typically think of from the old days, two wires, one red and the other black. Wrap them around a post and screw them in. They don’t have as much buzz as the powered speakers, and don’t need an outlet nearby to place them. 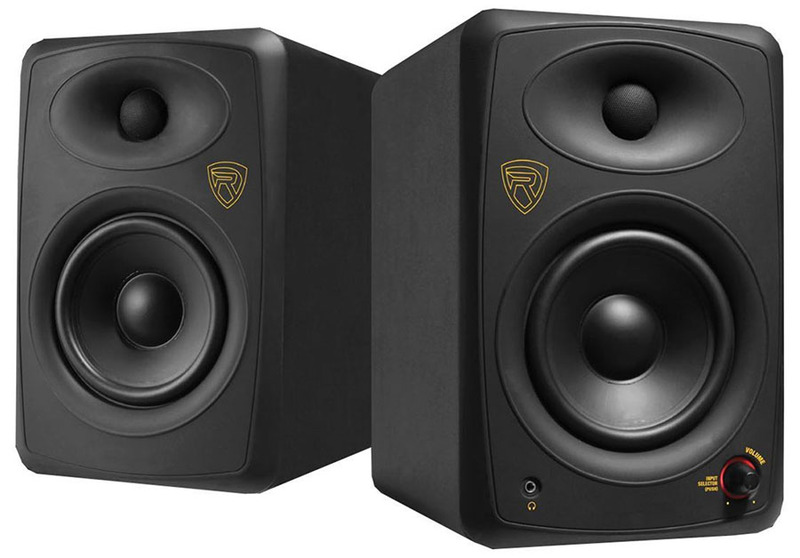 A word of caution when buying studio monitors, they don’t always come in pairs. Some are sold as a set, others are sold individually. Be sure to check before putting your money on the table. 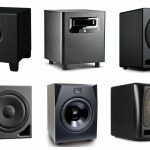 Studio monitor speakers are preferred by audiophiles and musicians, in particular those who mix and master due to the their “flat” frequency response with no embellishments in either the tweeter or woofer built-in. The loudspeaker is the most common household speaker. These have been a staple of family life since the beginning of radio. For older generations, the loudspeaker was the only way to get sound from your television or stereo. Giant floor standing speakers were how this older generation grew up. Today, they even come in small, fit in your pocket styles that produce quality sound. Or perhaps you can go somewhere in the middle with a portable PA system. The loudspeaker commonly has a woofer, mid-range speaker and a tweeter, thus eliminating the need to buy several different types of speakers to produce a full range of sound. They can be mounted in the ceiling or in the wall, and some types can even be setup outdoors. They’re mostly used for stage performances, karaoke or any other use where you need to cover a lot of ground in your particular setting. Climbing into the way-back machine, when computers first had speakers inside them, they were tiny little speakers attached to the motherboard. Quickly, they graduated to sound cards which would allow you to plug-in your headphones or very small desktop speakers. The speakers weren’t very powerful, but back then, you only had 8-bit or 16 bit sound to work with anyway. 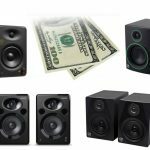 The current generation of computer speakers commonly come in a 2.1 (2 loudspeakers and a subwoofer) style, which is perfect for your casual listener who just likes to have their Spotify or iTunes in the background as they work. For the gaming enthusiast, there are 5.1 or even fully immersive 7.1 surround systems available. These are basically plug and play systems, with a USB plug from the subwoofer to the computer, and the other satellite speakers plugging into the subwoofer for power. Cornerstone is a very dramatic way of describing anything, but when it comes to speaker types, the floor standing speaker truly defines it. 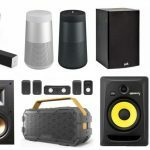 When shopping for a home theatre system or just a home studio type of setup for your listening pleasure, the floor standing speaker should be the foundation of that setup. At about 4 feet tall (though some are taller), they will be completely visible anywhere in the room. Imagine walking into a room with Shaquille O’Neal in it. So placement will be important. They come in a myriad of configurations, with a wide range of sound, depending on which configuration you are looking for. As noted above in the loudspeakers section, these speaker types offer a tweeter, mid-range and a woofer. Some styles also add a subwoofer to the mix for a full range of sound. Most floor standing speakers are unpowered, and need a receiver or amplifier. We’re pretty sure that we don’t need to define bookshelf speakers technically (as the name implies an easy understanding), so we will speed right past that to what they actually give you. In a home theater setting, these are the medium-sized speakers in this setup. They are directional speakers, meaning that they must face you in order to get the full experience, and can be placed on either side of the television or behind you as surround speakers. Usually they are about 5 inches tall, and commonly have 2 speakers (1 mid-range and 1 tweeter) referred to as 2-way speaker. Just like the floor standing speakers, these will need an amplifier or receiver to run. Bookshelf speakers are an important type of speaker for home theater systems. The center speaker is probably the oddball of the bunch when it comes to types of speakers. It’s really kind of like a floor standing speaker on its’ side in front of, or on top of your television. For the home studio, there really isn’t a huge need for it, as the studio monitors should give you quality sound by themselves. However, the addition of a dedicated center speaker can improve the studio experience. The dedicated center speaker usually has 2 mid bass speakers, with a tweeter in the center (MTM). There are other configurations, but this one is the most common. Quality in-wall or in-ceiling speakers can be a bit difficult to install and are not exactly budget-friendly, but walking from room to room in your house and having your music follow you around is really something to behold. That being said, the in-wall/ceiling speaker is perfect for the home where floor space is at a premium. Professional installation is recommended because getting the wires through the ceiling, down the wall and through the fire wall is not for the faint of heart. Specialized tools are necessary for some parts of the wall and spending a weekend crawling through the attic isn’t fun. Sizes and configurations vary from 2-way speakers to 10 or more. Most come with a cover to hide the speaker flush in the wall, and provide quality sound when placed at seating level. For On-wall speakers, the advantage of not having to put big holes in your ceiling or walls (which your landlord won’t thank you for) means that you can mount them wherever you like. In a surround environment, mounting the speakers on the wall at ear level will allow you to skip having to purchase floor standing speakers altogether. With some styles including mounting brackets, installation is easy. Hiding the wires becomes the hard part. They come in a variety of colors and styles, so matching your décor shouldn’t be a problem. On-wall are types of speakers that are unpowered, so you’ll have to have an amplifier or receiver to plug them in to. These speaker types are typically smaller in size than most floor standing or bookshelf speakers. As part of a system, they are wired, and need to be powered. Since there is already a subwoofer, this type of speaker is usually a mid-bass speaker with a tweeter. The subwoofer is a typical power source for the satellite speakers. Now that all of that extra information is out-of-the-way, satellite speakers are an important consideration when purchasing a new system. With so many configurations available, you will want to decide which one will give you the sound quality you want. Depending on the amount of space available, most versions come with a mounting bracket, so you can put them anywhere from floor to ceiling. Satellite speakers are a type that provide us wit high-ends in a home theater system. 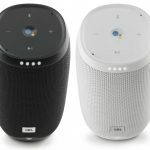 The new kid on the block, Bluetooth speakers offer the portability around the house and yard to make them a good option for your sound needs. The Bluetooth wireless speaker can connect to your phone or stereo receiver and produce high quality sound. There are even bigger tailgating style speakers that you can take camping or to sporting events. Most Bluetooth speakers need to be plugged into an outlet, with the exception being the wireless Bluetooth speaker that you can charge up. Surround speakers are an integral part of any home theater system. The numbers 5.1 and 7.1 have different meanings, but what do they actually mean? Here are the basics. Without getting too technical, the standard system has a left, right and center speaker (LCR). Basically it is 3 speakers that face the viewer or listener. What surround does is add 2 or more channels (speakers) behind the viewer to create a 360 degree sound environment. Multi-channel playback is used to send the correct sound to the correct speaker at the correct time. 5.1 surround is a center channel, left and right front channels, left and right surround channels on the side and a subwoofer. So it’s simply 5 speakers and a subwoofer. The 5.1 surround system combines the rear and side audio into 2 speakers. A 7.1 system is just like the 5.1, but it separates the rear and side audio into 4 speakers. These types of speakers are designed to be weatherproof and some are even designed to hide in your yard as rocks. 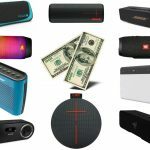 You can buy them as a system or a single speaker depending on what you want outside. Some systems come with a subwoofer and several midrange and tweeters to cover the entire yard and patio. The outdoor speaker boxes are built to withstand heat and humidity, as well as UV rays and the wires are plugged into the speaker inside a weather resistant enclosure. Need some outdoor use with weather protection? 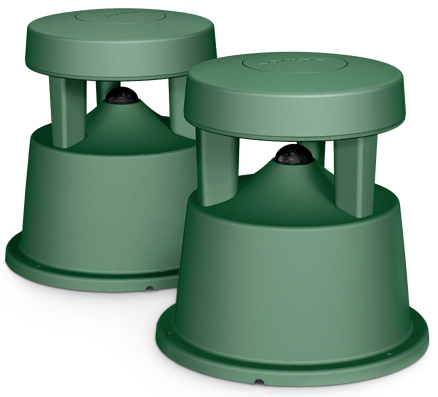 Outdoor speakers give us audio in our patios and backyards. We won’t spend too much time on soundbars. Of all the speaker types, this one is the hybrid. In the standard sense, they are basically a center speaker. Really it’s a flatter, horizontal floor standing speaker. Surround sound is accomplished by using several smaller speakers like woofers, mid-range and tweeters in the bar. Typically the sound quality is lacking in the lower bass frequencies, but today you can purchase them with a subwoofer and surround speakers to enhance the surround experience. At the end of the day, we hope we have cleared away some of the clouds covering the different types of speakers. It doesn’t matter if you’re an audiophile or casual listener, you can get a really high quality system for the price. Some of the high-end systems have professional installation available, but there’s no reason you can’t save a few bucks and spend the weekend in the attic. Bluetooth is becoming more and more advanced, and the thought of being able to place the speakers anywhere in your home and play music through all of them at once is a future worth investing in.